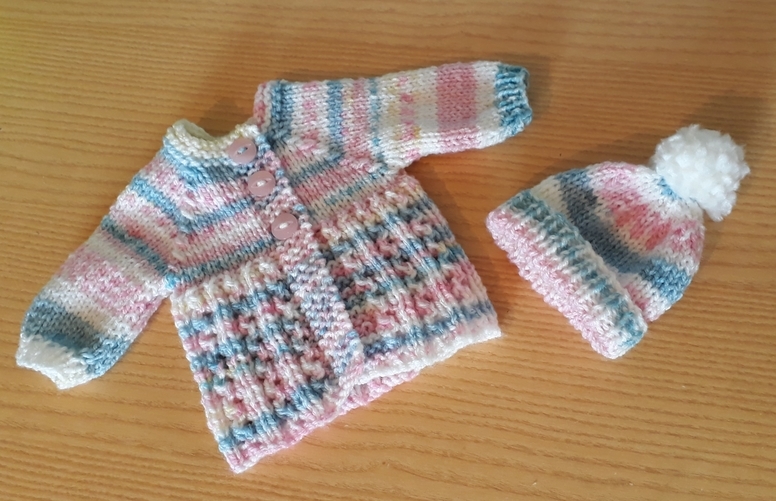 knitted cardigans.stillbirth baby burial clothes in tiny sizes sold here after you have picked out and outfit or baby grow you can add one of these beautiful hand knitted cardigan sets to keep your baby girl warm as toast settled down for a final sleep. candyfloss pinks and blues stunning pattern very pretty. your baby girl can be fully dressed in sizes that are tiny and comfortable to wear. click the order button just below to choose this style fit for a princess .